There were 51,563 business aviation departures in Europe in December 2015 according to WINGX’s latest monthly Business Aviation Monitor. Whilst this was the low point in the year, it represented a 1.7% increase in YOY activity. 2015 finished at -0.6%, equivalent to 4866 fewer flights than in 2014. The boost in December came from Piston activity, which increased 28% YOY, and ended the year up by 5%. Business jet activity – representing 60% of all business aviation flights – declined by 4% this month, with full year jet activity down by 2.5%. Aggregate business aviation activity in December saw solid growth across most of Western Europe, especially in Germany, where 27% of flights are Piston-operated. There was also strong YOY activity growth in Spain, Austria, Sweden. The UK and France saw modest growth, firming up a slight recovery in activity this year. In December, AOC activity in the UK rose more than 5%, but fell 3% in France. Private flight activity increased 16% in Spain, with AOC flights slumping 7% in Italy. Intra-European flights were up 3% this month, an improvement on the last 12 month trend of 1%. But flights from Southern and Eastern Europe continued to trend down slightly. 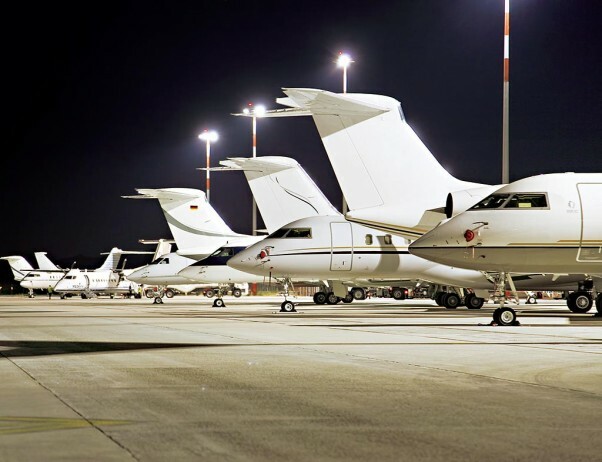 Europe’s business aviation connections with the CIS region fell 22%. Inbound flights from North America were down 2% this month, flat overall for 2015. Flights from the Middle East slumped 12% this month but have a narrowly positive full year trend. Flights from Europe to Africa fell 15%, taking the 2015 trend to -9%. Ultra-long range jets maintained YOY growth throughout 2015, although the rolling 12 month average activity is declining. This month, Bombardier ULR jets flew most sectors, 1,703, a 3% YOY increase in activity. At the other end of the spectrum, light jet activity has stabilised in the back-end of 2015. Within this bracket, Q4 trend showed weakening demand for VLJs, growth migrating to ELJs, notably the CJ1. PC-12 activity picked up 7% this month, 4% in 2015.
Business aviation activity at Europe´s top airports mostly diminished, with exceptions in Private activity at Zurich and Farnborough, and in Charter, at Luton and Ciampino. For business jet departures, the largest growth this month came from Biggin Hill.